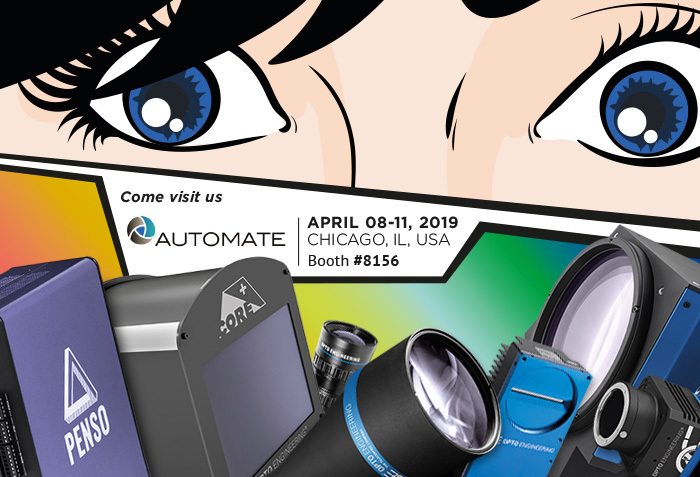 Come visit us at Automate, North America’s largest event for robotics, automation and machine vision technologies in its final Chicago appearance. 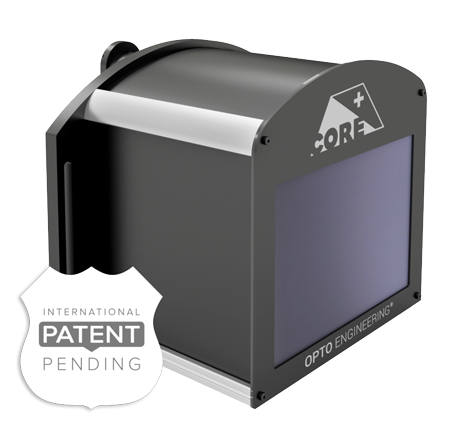 We’re going to showcase our ever growing selection of innovative imaging components, including new groundbreaking telecentric optics that you won’t find anywhere else! 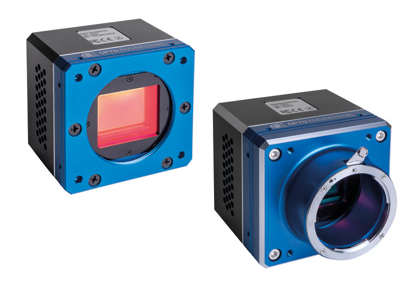 TC CORE PLUS series are large FOV telecentric lenses for area scan cameras, specifically designed for the latest generation 1/1.8” and 2/3” CMOS sensors. 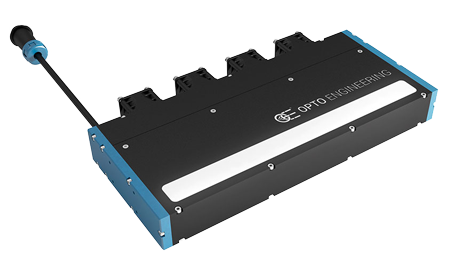 Whether the application requires to image large areas with high pixel count or to measure small parts with extreme accuracy, Opto Engineering’s COE series cameras are up to the challenge. 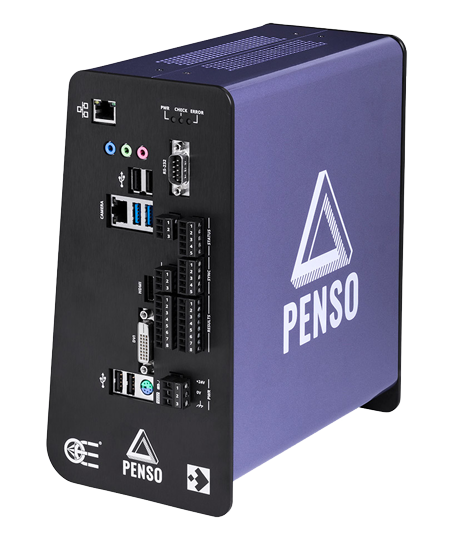 Using the latest high resolution sensors, these ruggedized cameras deliver outstanding performance under harsh conditions. 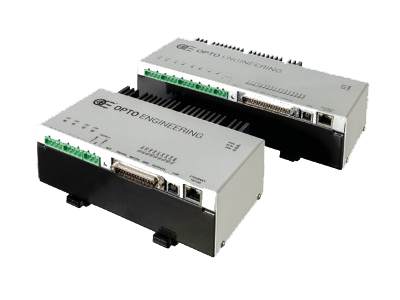 Opto Engineering® range of LED strobe controllers now includes LTDVE8CH-20 and LTDVE4CH-20 with Ethernet and RS485 interfaces featuring respectively eight and four output channels driving lights with currents up to 20A (pulsed) and 2A (continuous). For some applications, the usual programming approach just doesn’t work. Golden reference and perfectly repeatable conditions are necessary. 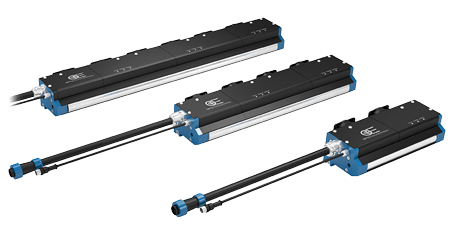 LTLNE series are LED line illuminators designed for linescan applications that require high speed image processing such as transparent films or glass inspection and detection of dents on metal sheets. LTLNM series are high power LED line illuminators designed for linescan applications such as fabrics and web inspection. These lights are flicker-free to ensure very constant illumination and repeatable acquisition in demanding applications with reduced exposure times (tens of us).